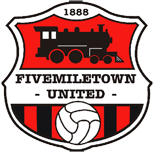 Fivemiletown United are looking for a matchday reporter and to update social media during matches. This would be a great opportunity for a student currently studying traditional journalism or online journalism, but not only students, anyone who feels they can contribute, if you have a keen interest in football or blogging you should apply. We require someone to write up match reports in an accurate, impartial and a fair account of what they see during the games, you will be expected to write for both print and online. We also require you to update our social media during games, helping to keep people informed of the games progress, including starting line-up, scorers and main incidents during play, and to upload photos when possible. Attention to detail, like players’ names and results, is essential. Ideally, we would like you to be at all first team fixtures, home and away. These reports will be forwarded on to the local papers for publication; they will also be published on our website and social media. You will be responsible for the report, so spelling and grammar must be of a high standard. There is no set limit to the size of the report or the number of words to be used; we will leave that up to you. This job is a voluntary position; but this opportunity would be perfect for someone to gain valuable experience, enhance their CV and would be a great stepping stone to future work. It’s your club, get involved.